How can countries decide what kind of military forces they need, if threats are uncertain and history is full of strategic surprises? This is a question that is more pertinent than ever, as countries across the Asia-Pacific are faced with the military and economic rise of China. 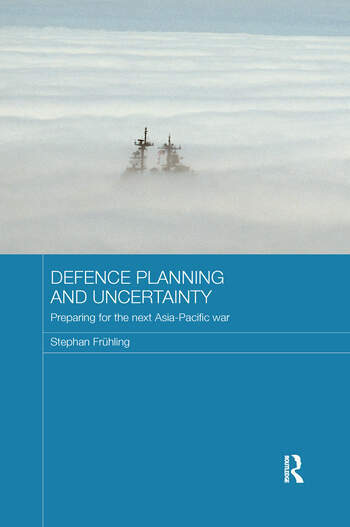 Uncertainty is inherent in defence planning, but different types of uncertainty mean that countries need to approach decisions about military force structure in different ways. This book examines four different basic frameworks for defence planning, and demonstrates how states can make decisions coherently about the structure and posture of their defence forces despite strategic uncertainty. It draws on case studies from the United States, Australian and New Zealand, each of which developed key concepts for their particular circumstances and risk perception in Asia. Success as well as failure in developing coherent defence planning frameworks holds lessons for the United States and other countries as they consider how best to structure their military forces for the uncertain challenges of the future. Stephan Frühling is Senior Lecturer in the Strategic and Defence Studies Centre, Australian National University, Australia.